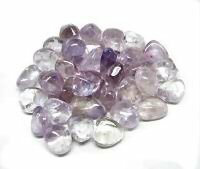 Tumbled gemstones and polished crystals have been polished to reveal their beauty and have always been associated with spirituality and healing. 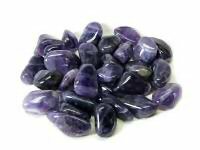 Polished crystals are perfect as healing stones and for ritual to increase the power of your intention. 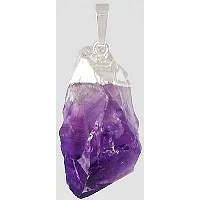 They make a wonderful crystal gift for those who could benefit from their metaphysical properties. 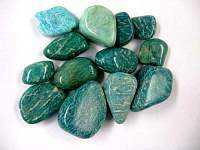 Stones are for the spiritualist, healer and the crystal collector. 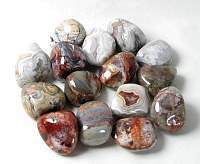 When stones are polished they show you the beauty of rocks, minerals and gemstones in their natural state. It reveals the wonderful color and form of these natural formations that are often hidden in the earth. 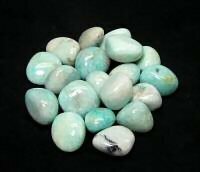 You will find our hand selected stones for healing, prosperity, peace, harmony, meditations, love and more. 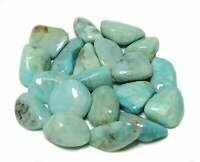 All tumbled stone orders are picked with positive intention. Some stones have occlusions, some have small holes which are known as windows into the stone itself and some are perfection. When I buy stones for Raven and Crone most of them are handpicked. 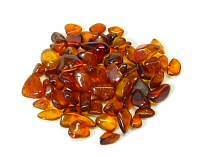 We try to get the best quality stones we can find and we pick the stones that feel right. 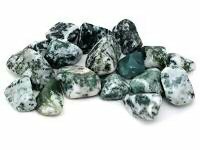 If you are ordering just one or two stones and they are shipping within the lower 48 states you may email or call us during regular business hours for a coupon to discount the shipping fee. 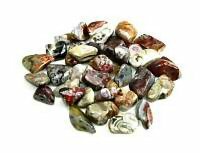 Stones are a natural product and can vary in length, width and thickness and are sized on their largest dimension. 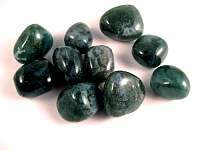 Take a look at our articles on the Metaphysical Properties, Lore of Crystals, Gems, and Stones. Metaphysical and healing lore is for inspiration, folklore, reference, and entertainment purposes only. Do not give up healthcare because of it. See your doctor or other qualified healthcare practitioner about all illness's, injuries or other health related issues. 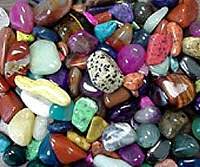 Mystical lore on crystal healing and spiritual healing is not a prescription or diagnosis. They are alternative and complementary and are not scientifically proven. By using this site and associated materials you acknowledge and agree that you personally assume responsibility for your use or misuse of this lore.The metaphysical properties within this section is based on information given in a number of texts and other resources such as Melody's 'Love is in the Earth', Robert Simmons and Naisha Ahsians 'The Book of Stones', Judy Halls 'Crystal Bible', and from my suppliers. I love this item. It was packed and shipped well. Thanks! ..